I am primarily a long twentieth century scholar of literature and culture, with a geopolitical range from North America to East Asia. How race/ethnicity, modernity, and globality inform the constitution of (trans)national imaginaries and individual subjectivities in the era of late capital has been my persistent critical and theoretical preoccupation. See listed books below and my CV for a glimpse of my work. This book seeks to identify the forces behind the emergence of Asian American literature and to explore both the unique place of Asian Americans in American culture and what that place says about the way Americanness is defined. 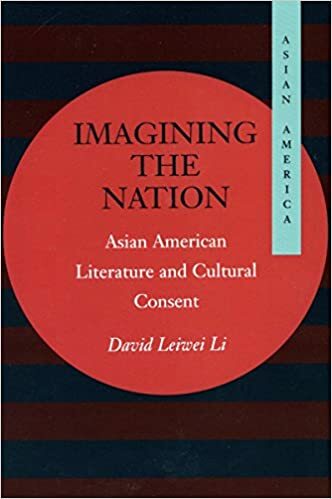 David Li focuses on how the sense of the nation is disseminated through the practice of reading and writing, and he argues that Asian American literature is a productive discursive negotiation of the contemporary contradiction in American citizenship. By analyzing the textual strategies with which literary Asian America is represented, the book shows how the “fictive ethnicity” of the nation continues to exert its regulatory power and suggests how we can work toward a radical American democratic consent. Imagining the Nation integrates a fine appreciation of the formal features of Asian American literature with the conflict and convergence among different reading communities and the dilemma of ethnic intellectuals caught in the process of their institutionalization. By articulating Asian American structures of feeling across the nexus of East and West, black and white, nation and diaspora, the book both sets out a new terrain for Asian American literary culture and significantly strengthens the multiculturalist challenge to the American canon. 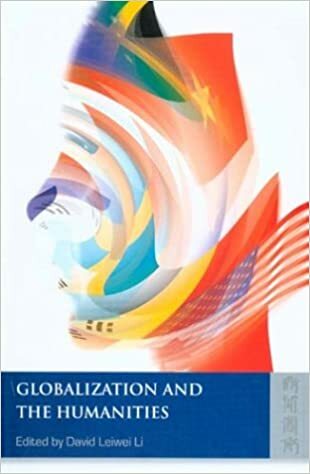 A comprehensive collection on how economic globalization transforms contemporary humanistic inquiries on matters of fundamental cultural and political significance. 3. Asian American Literature. Routledge; 1 edition (July 10, 2012). 4 volumes collection of criticism. 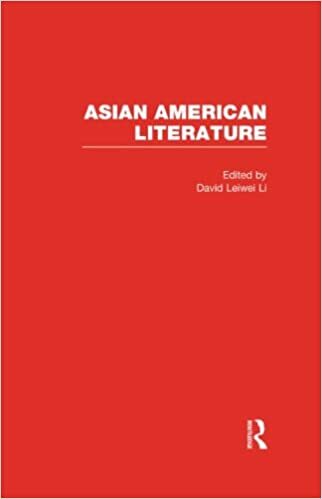 Asian American Literature is fully indexed and includes a new introduction by the editor, which places the representative corpus in its historical and intellectual contexts. In charting the categorical shifts from identity to difference, politics to aesthetics, grievance to grief, this critical overview enables a clear understanding of Asian American literary formation in the complex geo-political, economic, and social sea-change between what is now known as “liberalism” and “neoliberalism.” An indispensable reference collection, Asian American Literature is destined to be valued by scholars and students as a vital one-stop research and pedagogical resource. 4. 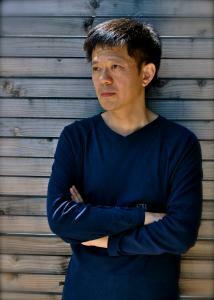 Economy, Emotion, and Ethics in Chinese Cinema: Globalization on Speed. Routledge (March 9, 2016). The First and Second Comings of capitalism are conceptual shorthandsused to capture the radical changes in global geopolitics from the Opium War to the end of the Cold War and beyond. 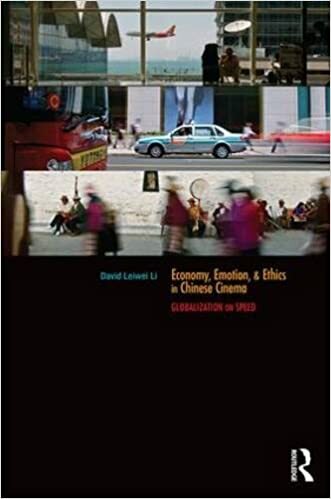 Centering the role of capitalism in the Chinese everyday, the framework can be employed to comprehend contemporary Chinese culture in general and, as in this study, Chinese cinema in particular. “culture” anthropologically, as a way of life emanating from the everyday, and aesthetically, as imaginative forms and creative expressions. The First and Second Comings of capitalism are conceptual shorthands used to capture the radical changes in global geopolitics from the Opium War to the end of the Cold War and beyond. Centering the role of capitalism in the Chinese everyday, the framework can be employed to comprehend contemporary Chinese culture in general and, as in this study, Chinese cinema in particular. Li, David. Asian American Literature.